In 1992, Sussan Mahjouri established one of the region's first medically-based skin care clinics with the goal of offering the most advanced skin treatments available. 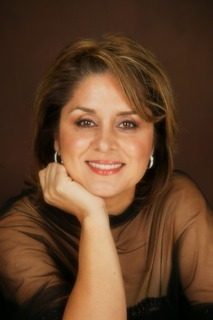 As President and Clinic Director of the clinic, Sussan has overseen its growth and development into what it is now the Mahjouri Cosmetic Surgery & Skin Care Clinic. Drawing on her vast aesthetics experience and education in the medical field, Sussan Mahjouri has integrated medical professionals and licensed aestheticians under one roof, all of whom focus on health, beauty, and the well-being of their patients. Our vision is to provide patients with innovative, safe, medically-based treatments for the skin. Our skin care specialists have been providing quality skin care to men and women for over 15 years under the medical direction of Dr. F.S. Mahjouri, Board Certified Plastic Surgeon. Mahjouri Cosmetic Surgery & Skin Care Clinic combines the art of aesthetics and the science of medicine to provide you with the most advanced treatments and products available. Drawing upon her 13+ years in the medical field and experience in both plastic surgery and skin care, Terry brings a wide range of knowledge to the clinic. Her role is managing the office, daily operations, and most importantly, welcoming patients. Described by co-workers as "enthusiastic, devoted and hardworking," Terry continuously seeks new ways to improve the quality of patient care. 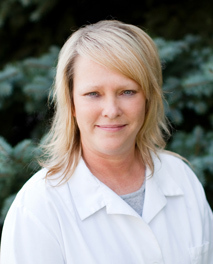 Her goal is to ensure that patients have a positive experience each and every time they visit our clinic. In addition to spending time with her family, Terry coaches traveling soccer and participates in a variety of sports. 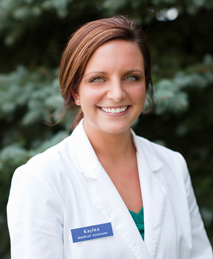 An organized, energetic and compassionate professional with several years of experience, Kaylea is responsible for scheduling surgery, educating patients on their procedures, and consulting with/assisting Dr. Mahjouri in caring for patients after surgery. Ensuring that patients feel comfortable and well informed is her top priority. She especially enjoys working alongside Dr. Mahjouri and the positive response from patients about their outcomes. Kaylea spends much of her leisure time outdoors and in the summer can often be found camping, boating or water skiing. She also likes to travel. Contact our office to receive a free consultation. Mahjouri Cosmetic Surgery & Skincare Clinic provides consultation to patients from Fridley, Minneapolis, Anoka, and the surrounding communities. Call the office of Dr. Mahjouri today to schedule a consultation, to learn more about how we can best help you.